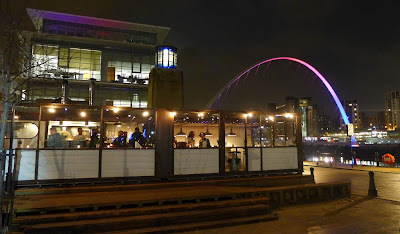 As Mrs Diner and I wandered along the Quayside, reflections of the Sage Gateshead and the Millennium Bridge all twinkly in the ink-pool Tyne, I must admit I was genuinely excited. 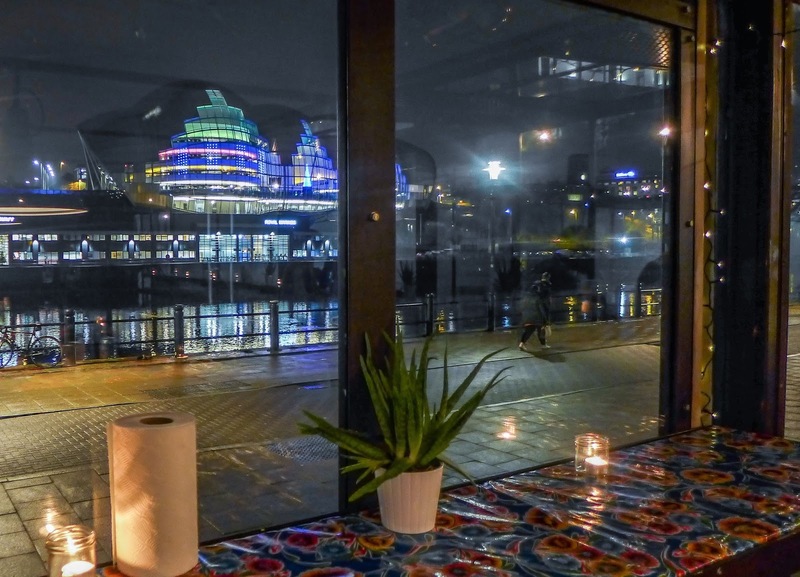 Over the last few years, the fates and my diary had somehow conspired to prevent me from visiting any of Shaun Hurrell’s Barrio Comida pop-ups, so the news that he was moving into Adam Riley’s fish shack on the Quayside was very welcome indeed. This is the converted shipping container with the second best view in the world (the best being the outlook from Riley’s fish shack in Tynemouth). Anticipation can be the enemy of enjoyment, but in this case it was well placed. Mr Hurrell has cooked with, and for, some serious chefs down South including Marcus Wareing, Fergus Henderson and James Knappet, as well as Terry Laybourne up here. I don’t know how much any of those taught him about corn tortillas or mole sauce, or whether it was just Hurrell’s Californian childhood, where taquerias and taco trucks are a dime a dozen (and Mexican food is a necessary part of everyday life), but the happy news is that Barrio Comida is basically an out-of-the-park smash hit. 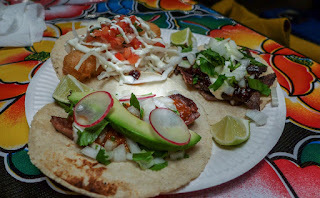 I can also confidently report that Newcastle’s first taqueria is a whole gourmet level above many of Californian ones I’ve tried, and I’ve tried quite a few. We actually visited twice, both before and after the arrival of the specially imported “Manufacturas Lenin” taco machine. 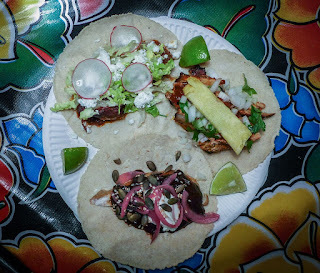 Both with and without mechanical assistance the corn tortillas were lovely, homely things with a pliable texture; they actually tasted of corn. But it’s the fillings that really sing, and bear the tell-tale signs of Hurrell’s high-end background. I’m blowed if I can pick a favourite, but maybe it’s the Lengua, in which ox tongue has been cooked to startling tenderness before being paired with avocado and a sauce that fairly hums with chipotles. Or perhaps it’s the Mole, in which wood roasted chicken is smothered in a poblano-based sauce of such depth you can lose your way in it. 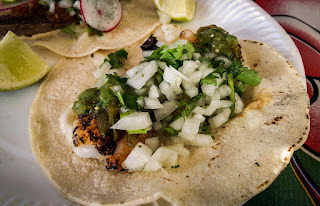 Having said that, the Camaron, an assembly of heavily charred prawns with a tingly tomatillo and lime salsa is no slouch. And don’t forget the roast pork Al Pastor, the one with the braised ox cheek or that thing with the fried fish in it either. You get the picture: everything that comes on a tortilla is really good. 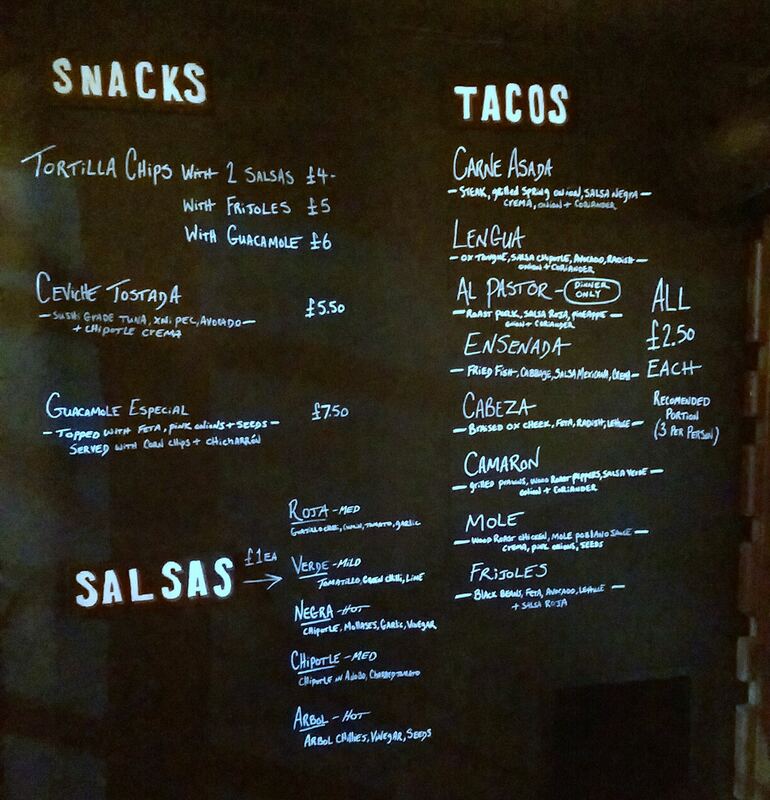 Prices, considering the care and attention the food has received, are very reasonable: three tacos will give you change from a tenner. While they’re being assembled you should probably order the guacamole especial, in which everyone’s favourite green dip comes topped with feta, cute pink-pickled onions and toasted seeds, with corn chips and chicharrón - those addictively puffed pork scratchings - on the side. I personally like a bit of pizzazz to my guacamole, so wouldn’t have minded a dose more lime and maybe some green chillies in the mix, but it was soothing and fresh on both occasions. All of this was consumed while perched on stools, hunched over small benches that have been tarted up with vibrant flower-print plastic. The whole place was full of the gentle and welcoming fug that only wood-powered cookery can produce. A thoroughly decent sound system was kicking out A Tribe Called Quest. 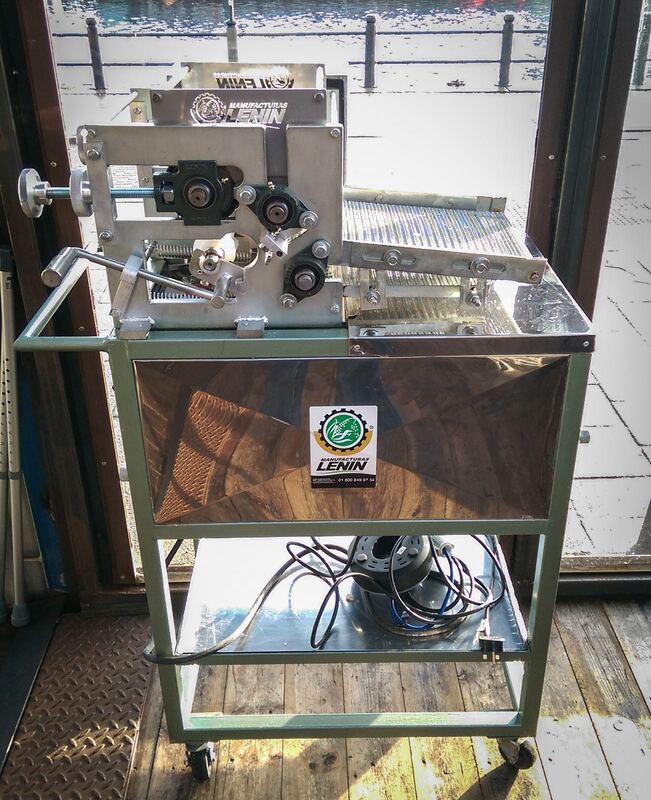 Does this sound like your kind of thing? If you’re of the thick-rimmed specs and fulsome beard persuasion then I think we both know that it really, really does. My portable hipster alarm was ringing off the hook, although that clearly just means some of the customers have better taste in food than they do in facial hair, which is fine. It’s a free world, and it’s their face; what they sprout from it is no more my business than what they put in it. Mrs Diner and I were off the booze on both occasions (don’t you just love January? 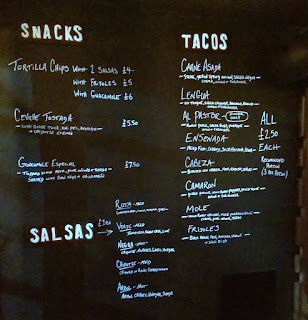 ), so I’ll have to wait a bit longer to test their tequila list. In the meantime, I can happily report that the soft drink choice is first-rate. 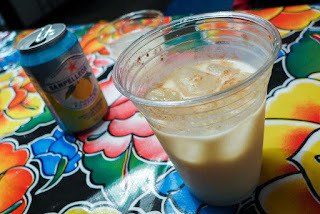 The homemade agua frescas are fabulous, especially the horchata, made from rice, nuts and cinnamon. Mrs Diner’s pineapple Jarritos was as fun to drink as it was to say. There are no desserts, or at least not yet. All in good time, perhaps. 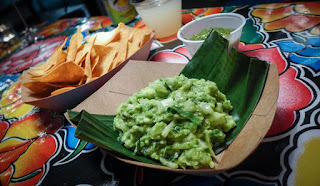 It’s hard to rate the service as you basically order stuff at the counter and then it turns up on paper plates, but everyone was friendly and well-versed on the ingredients, which is great when some of what’s on the menu will be unfamiliar to many. Well fed on vibrant, fresh-tasting cooking and peering out at the fantastic vista, I couldn’t help but reflect with gratitude on the increasing number of dedicated, knowledgeable, talented people who are doing great things with food in this town. Shaun Hurrell is one of those. 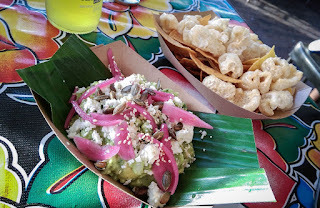 Newcastle has been crying out for some real Mexican/SoCal food for years, and no-one has shouted louder than me. No more. 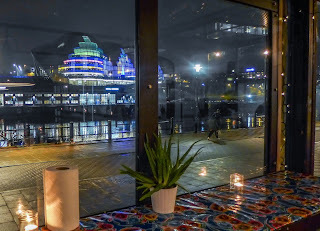 I love that a creative chef, who has worked with some of London’s best and brightest, is doing something so accessible, informal and - most important - delicious, bang slap in the middle of our city. When the summer swings round again and they roll out that fake beach this place will be heaving. Best get in now, while the nights are still longer than the queue.